Brooklyn-born bandleader Vincent Lopez (12.30.1895 – 9.20.1975) talks about his first night on the air for WJZ on November 27, 1921. Lopez, who began leading his own band at age 17, was 25 at the time. Lopez worked occasionally in feature films, notably The Big Broadcast, which starred Bing Crosby. The band's weekly 90-minute show would go on to boost the popularity of both himself and of radio. 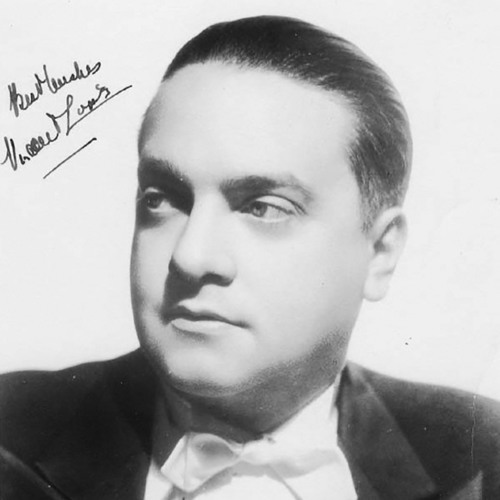 He became one of America's most popular bandleaders, and would retain that status through the 1940s. Hear more about the launch of network radio in Breaking Walls EP76 Over There—The War for Radio’s Airwaves (1912 - 1922), coming on March 1, 2018, on itunes and everywhere you get your podcasts or at http://thewallbreakers.com.